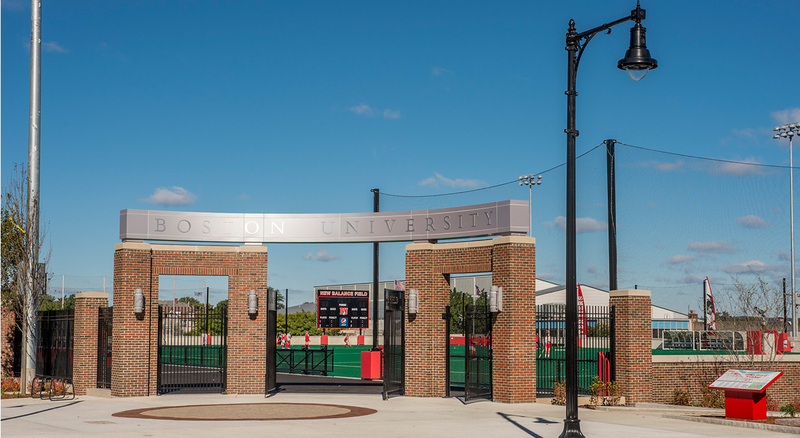 Faced with a major shortage of athletic field space and campus parking, Boston University developed a solution to both issues with the construction of their 110,000 SF New Balance Field. BOND provided construction management services for the new facility, which was financed in part by Boston-based New Balance. 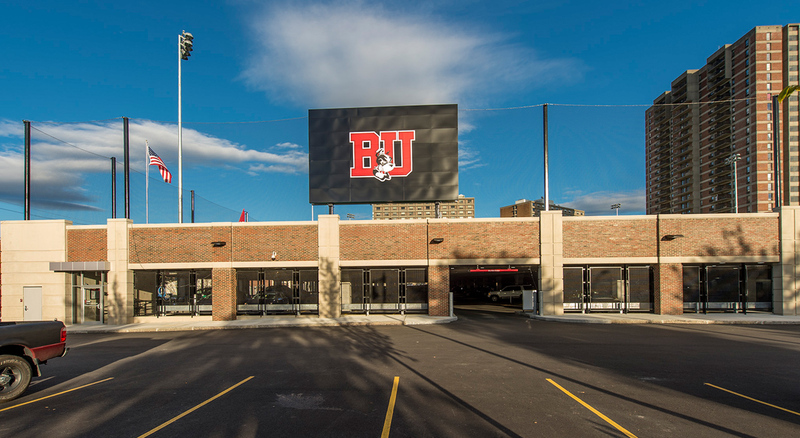 The structure houses a new home athletic field for BU’s field hockey and intramural sports teams, seating for 500 spectators, and a 350-space, below-grade precast garage. The field incorporates many sustainable features, including a 15,000-gallon tank that captures rainwater and re-uses it for 80% of the site’s annual irrigation needs. 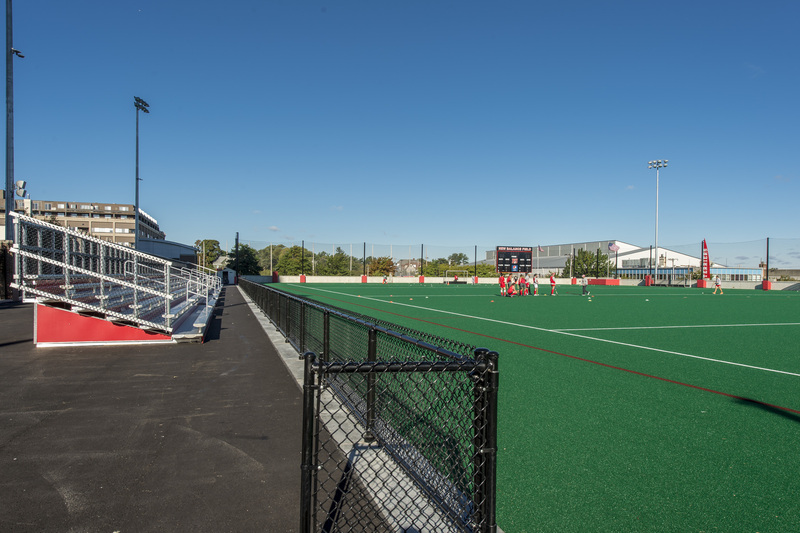 The tank supports 90,000 SF of AstroTurf field before and after games to support better play. 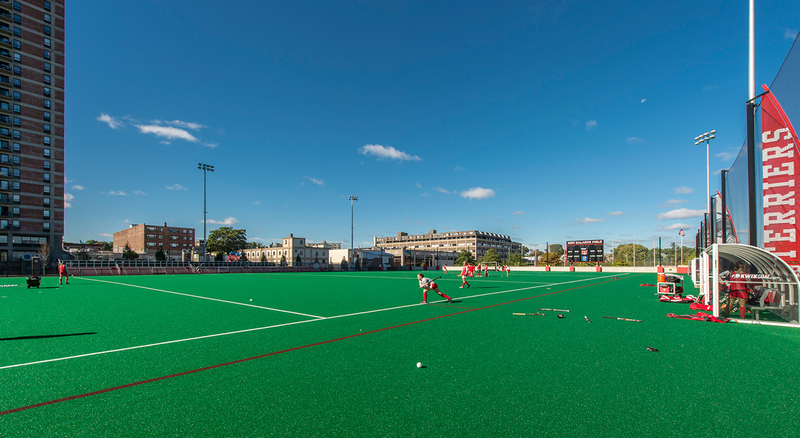 Successful transformation of a formerly unsightly campus parcel into a home field for BU’s nationally-ranked women’s field hockey team, allowing the University to expand its NCAA Division I athletics program.